History : b>??/? ?/79 : Acquired. 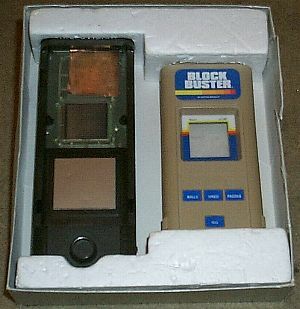 Block Buster Milton Bradly Missing instructions. Mindbuster Milton Bradly Missing instructions. Star Trek Phaser Strike Milton Bradly Missing instructions. I have some carts for this but have to check out which ones. Haven't used this in years. Need to check it out and see how it is holding up. If you have something for one to pass along, email me. One interesting item, the CPU was in each game cartridge, not in the system itself.